Business students have the opportunity to network with practitioners and attend sessions on professional development at the Annual Accounting and Finance Student/Practitioner Day on Nov. 4 at YSU. 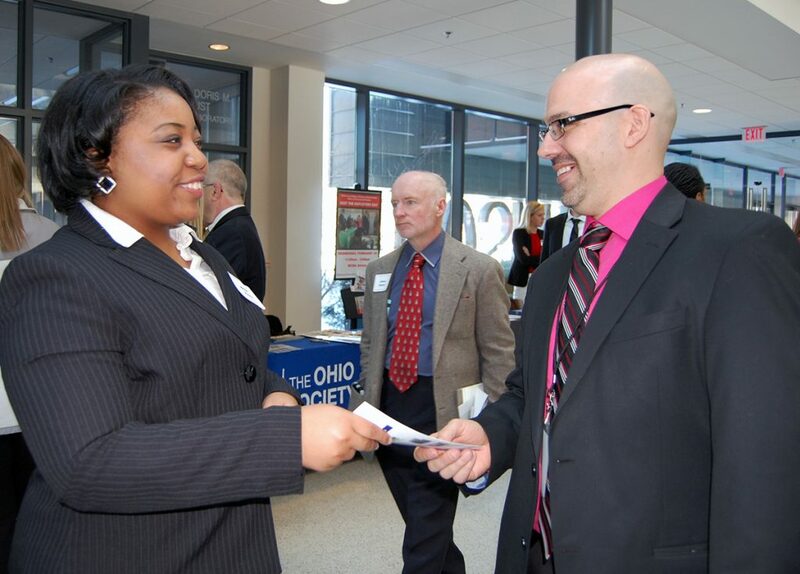 The Williamson College of Business Administration at Youngstown State University hosts the 20th Annual Accounting and Finance Student/Practitioner Day 7:45 a.m. to 3 p.m. Friday, Nov. 4, in the Conference Center of Williamson Hall. The event, which is conducted in conjunction with the YSU Lariccia School of Accounting and Finance, Beta Alpha Psi, the Institute of Management Accountants and the Ohio Society of Certified Public Accountants’ Student Ambassador, includes YSU business students as well as accounting and finance students from nearby colleges. Participants attend panel sessions on topics such as opportunities in accounting (five different areas); opportunities in finance (three different areas); communication and networking skills; professional designations; the Lariccia School’s MAcc Program; what the first two years of professional life are like; internships; mentoring for advancement; expanding your geographic horizons; developing a 2020 professional mindset; improvisation as communication skill building; resume feedback; gathering forensic evidence; and 3-D printing. Human resource representatives from accounting and financial service firms will also be available for networking. At 10:45 a.m., David Stout, the Andrews Endowed Chair from the Lariccia School of Accounting and Finance at YSU, gives the keynote presentation entitled “Lessons Learned: The Benefit of Critical Self-Reflection.” Stout is known and honored nationally for his research on teaching and his service to the accounting profession. Participating firms should include Hill, Barth & King; Packer Thomas; Schroedel, Scullin, & Bestic; Arnett, Carbis and Toothman; Black, Bashor, and Porsch; Anness, Gerlach & Williams; E&Y; PWC; Novogradac; Fluent and Ricciardi; Vallourec; Muransky Co.; Gasser Chair; Farmers Bank; Primary Health Network; JoAnns; PNC Bank; UH Medical; Apex Paper Box; Huntington Bank; FNB Corp.; Edward Jones; Progressive Insurance; DFAS; Cortland Bank; HD Davis; Merrill Lynch; AXA; Progressive Insurance; the Diocese of Youngstown; Becker Professional Education; Accountemps; and the OSCPA. Companies and organizations interested in learning more about event should contact Dave Law at 330-941-1881 or dblaw@ysu.edu.